Sir, thanks for the detailed explanation to my doubts on seeking wealth in today’s competitive world. But if we follow the principles and edicts as propounded by Maha Periyava, then Brahmins will become extinct from the world. Already, we see most Brahmin families are encouraging inter-caste marriages, so our unique class (or caste) will be ‘dead as a dodo’ if we are not going to compete and seek our right pedestal in the world through genuine pursuit of wealth and power, like the Jews of Israel. Otherwise, we will become extinct soon. To cite one example: I am from Mayavaram. And most of our neighbours and relatives from that sacred town had sold their ancestral properties and had already settled abroad or living in other States of India. Now Mayavaram has very little Brahmins and mostly dominated by Vanniyars, Muslims and OBCs. This is for your information. I’m from Sirkazhi too, can understand what you are talking about but don’t agree with what you had said. So you are saying if we are not in pursuit of wealth we will become extinct soon. To sum up, you are saying what Maha Periyava said is not correct and cannot be followed in today’s world. There is a difference between we not able to follow our Guru’s upadesams due to our materialistic pursuits (I follow in that category too) and categorically dismissing our Guru’s upadesams as impractical. The very fact that Brahmins are encouraging inter-caste or inter-religion marriages is that they have abandoned swadharma in pursuit of wealth and power. Brahmins will be extinct in this world soon only if they go in this path as you suggested which we already see happening in the dwindling numbers. Also, what makes you think that doing ones swdharma does not bring wealth and glory.? I’m sure you know this much better. Today’s Vaideeka’s earn way more than what even top IT pros earn and they also command a lot of respect. It also looks like you did not go through the chapter link I sent. Maha Periyava has answered your question directly. Here is the key quote below. Sir, I am a bit confused by the statement of Maha Periyava. Is accumulating wealth a sin? Most Brahmins don’t get the jobs they deserve in this country. Hence, they are forced to go to countries like the US, Australia, England and Germany where they respect meritocracy. Does it mean those who go abroad to make a living are sinners? In today’s context, we worship wealth as Goddess Lakshmi. The more we have, the more we can do charity and help others who need support in the form of scholarships, donations and other aids. We learn in schools and colleges so that we land in a good paying job and we repay our debts to our parents and society, is it not? 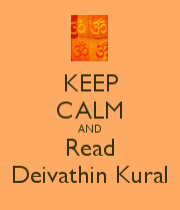 If you are following all the quotes and the Deivathin Kural chapters closely you would not have any confusions. 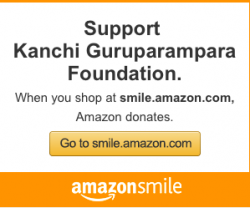 The fundamental premise that you have taken that Brahmins should work itself is incorrect according to Sri Periyava. I will tell you the essence in one line. Brahmins are not even supposed to go for jobs forget even going abroad. They have to live in poverty and practice Swadharma which is Veda Rakshanam.